It takes a very special couple to commit to a relationship across the pond shortly after meeting for the first time, but after Hunter’s stepsister played matchmaker, Hunter and Heather knew they wanted to give it a shot! Many long distance phone calls and international flights later, followed by a year together in Chicago, Hunter proposed in their soon-to-be home. 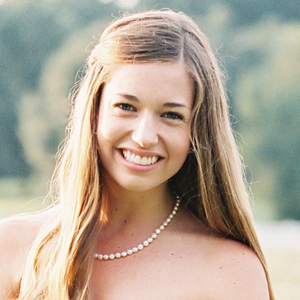 Even though Heather is from above the Mason-Dixon Line, I daresay her focus on creating a meaningful wedding day, her sweet perspective on what matters most, and her love for monograms make her a Southern belle at heart! Thank you so much to Nate Henderson for sharing this lovely wedding with us! What made you choose your ceremony and reception venues? Did they have any special significance to you? The church we were married in was the church Hunter attended growing up in Savannah. We wanted to bring our friends and family down South, as there really is nothing else like it! The oak trees covered with Spanish moss remind me of The Notebook, and created such romance and mystique. It was really important to both of us that we did not see each other beforehand–we are traditional in that regard. I will never forget walking down the aisle with my dad and seeing the expression on Hunter’s face. Having that time, while the beautiful music played in the church, to soak in the emotion in front of our family and friends who traveled to be a part of our special day, is a priceless moment we will never forget. Did you have something borrowed, blue, old, and new? If so, do tell! My bridesmaid generously let me borrow the gorgeous earrings she wore at her wedding. My dress was new. My mother wore a royal blue lace dress and looked beautiful, so she was my blue! For old, I pinned a necklace to my bouquet which had belonged to my Grandmother, who passed away six months earlier. In that way, she was with us! I am a firm believer that a wedding should be welcoming to your guests and should represent the two of you! My favorite details were H&H carnival lights that we ordered from Etsy, which our wedding coordinator attached to the front of the bar. We also had a beautiful monogram designed that we used on the napkins, cups, and pillows for the couches in our seating area. These pillows are now on our sofa, and we will use the monogram for the rest of our lives! Describe your wedding flowers. The setting of the reception was already beautiful, so I wanted the flowers to enhance the natural beauty. I chose a lush white, ivory, and green palette, which I think is so elegant. We repurposed two large arrangements (hydrangeas, roses, snap dragons, bells of ireland, french tulips that loosely cascaded), hydrangea wreaths, and boxwood garland from the church to the reception. We did halos for the flower girls with willow eucalyptus and white spray roses, which could not have been any sweeter. I also added a sprig of heather to Hunter’s boutonniere! Our first dance was to “You are the Best Thing” by Ray Lamontagne. It is less traditional than our ceremony choices, but the lyrics suited us. We took dance lessons beforehand, but in the end, we just winged it–except for one awesome, Dirty Dancing-esque dip at the beginning! Describe your wedding cake or dessert. I absolutely love wedding cake and always make a point to have at least a bite at weddings I attend for good luck! I had an entire Pinterest board of stunning cakes, and in the end, I couldn’t decide between two designs, so I let our cake designer surprise me. She loved the idea and said it was a designer’s dream! It was beautiful, and it tasted as good as it looked, with vanilla bean cake filled with raspberry and white chocolate mousse. How did y’all meet? Tell us your love story. I was living in London and my friend, Mary Allen, told me I had to meet her stepbrother, Hunter. “The two of you would be perfect together!” she told me. Hunter was living in Chicago, and when I was home visiting friends, she arranged our first date. Hunter was not feeling well and tried to hide it during the evening. I thought he was handsome, but very quiet, and I was surprised when he asked to see me again. We got to know each other more, met each other’s friends, and had a great time! He drove me to the airport at the end of my visit, and we continued to see each other every six weeks. After many trips across the pond, phone calls, and bbm messages exchanged, I moved to Chicago just over a year later. I’m not exactly sure what it was that Mary Allen saw in both of us, but she was right, and we will forever be grateful to her! Tell us all about the proposal! From Hunter: Heather and I were planning to move in together in mid-May 2013. I decided that I’d pull the trigger on Friday, April 26, specifically because I knew Heather likes the number 26, and the anniversary of when we first met was April 27, two years prior! I talked our soon-to-be landlord into giving me access to our empty future apartment, and then had our close friend, who was also our real estate agent, call Heather “on behalf of the landlord” to go over to the apartment and meet the “repair man.” I was “in a work meeting” during that exact window of time when Heather tried calling me to see if I could meet her there. I arrived to the apartment an hour early and began arranging it the best I could with rose petals and lit candles. Upon Heather’s entry, she called for the “repair man” to see if he was there yet, then turned toward the opposite side of the apartment, for what seemed to me like ten minutes! Finally, she came down the hallway toward me, saw the rose petals, and stopped in disbelief. I then took a knee and read a note that I had prepared, which I specifically wanted to write so that she could always look back and remember what I told her that day. She said “YES!” I capped off the proposal by revealing one red rose behind my back and asking Heather if she would “accept my final rose?”–a humorous nod to our favorite TV show. We were happily married exactly one year later! Did you write your own vows? If so, what was your favorite phrase, verse or line? No, we said traditional vows, and our minister, Edwin Chase, delivered a beautiful message. In our meetings before the wedding, he also taught us about the Five Love Languages, which I highly recommend for all couples! Tell us about some of the songs you used throughout your wedding and why you chose them. Both the bridal party and I walked down the aisle to Canon in D. We had violins playing it, and when I came down the aisle, the organ played softly to intensify the song a little more. I have always loved Canon in D and wanted it to play as long as possible. The recessional was the traditional Wedding March, which felt like a celebration! What was one way you saved money or cut costs at your wedding? Negotiate where you can and take time to price compare between vendors. Some vendors will charge you extra fees that you can eliminate, or you can negotiate an extra service to be included in your quote. The best advice I received at the onset of planning was to make sure your vendor is committed and excited to work with you. If you don’t feel that way, chose another vendor who is appreciative of your business. What’s next for you as a couple? What are you most looking forward to about married life? We had an amazing honeymoon in the Maldives and then settled into our new married life, but we haven’t slowed down. Hunter opened his own business and we are expecting a baby boy in May! Posh Petals & Pearls is a delightful member of our Blue Ribbon Vendor Directory! I know what you mean about your dress, Heather, but it is unmistakably gorgeous on! Love it!